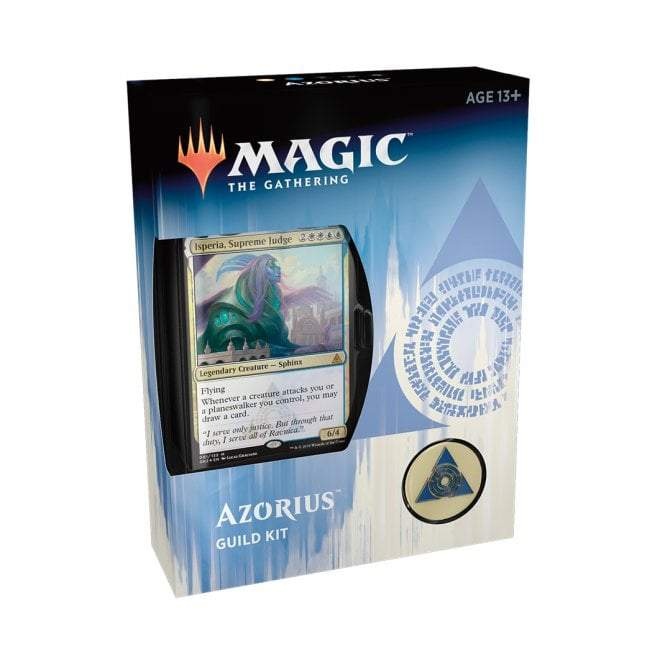 Orders containing this item will not ship until May 03, 2019. 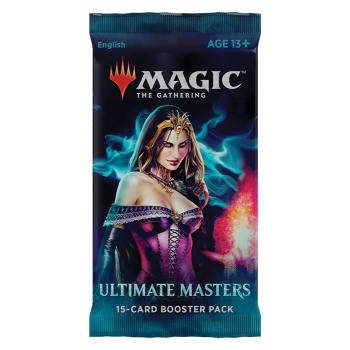 Description: Each factory-sealed display box contains 36 booster packs. 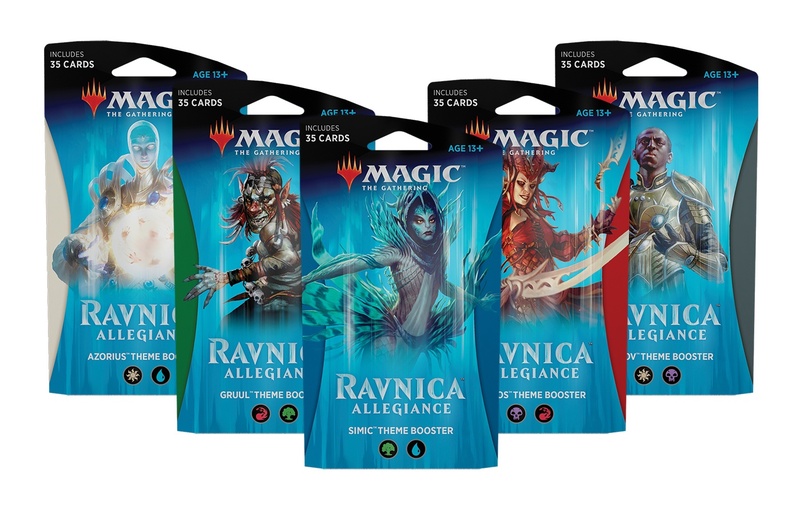 Orders containing this item will not ship until May 03, 2019. 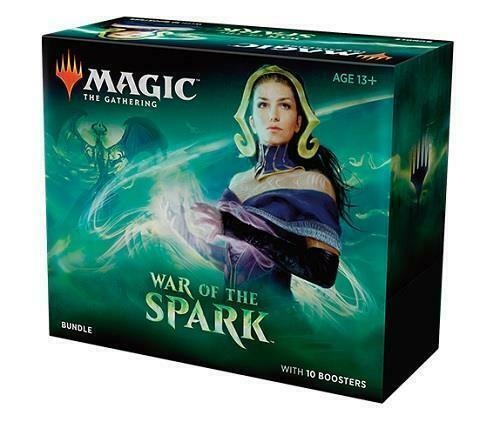 Contains 15 random cards from War of the Spark. 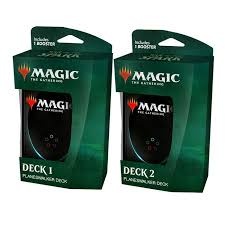 Orders containing this item will not ship until May 03, 2019. 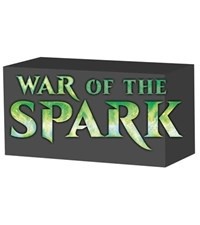 Description: The War of the Spark Deck Builder's Toolkit is a box set that will be released on March 3, 2019. 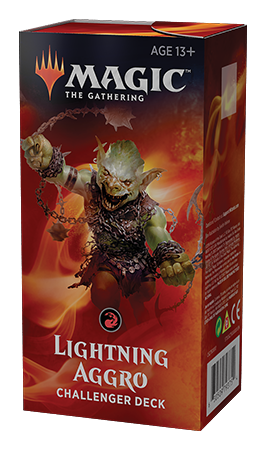 It contains 100 basic land cards, 125 fixed cards suitable for improving the set's Planeswalker decks, and four 15-card booster packs . 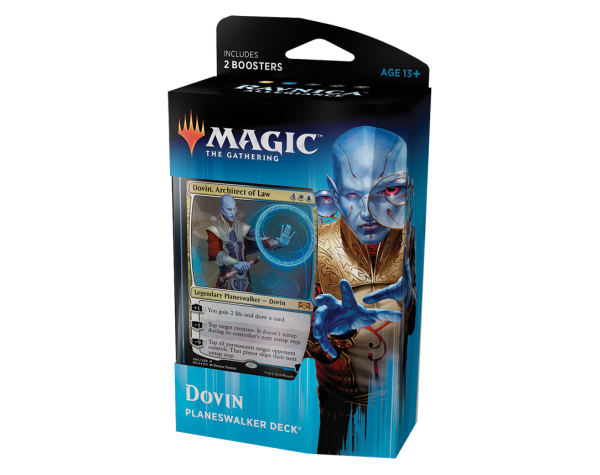 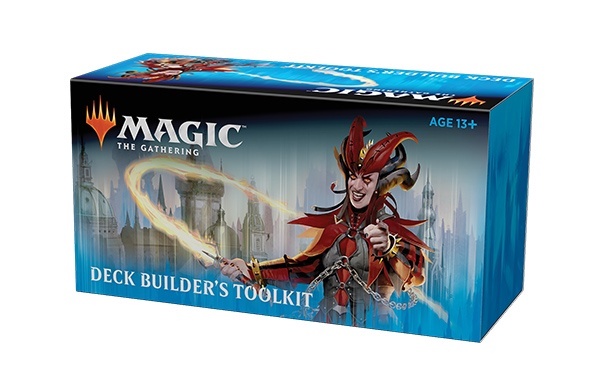 You also get a deck builder’s guide with tips about building the best Magic decks, a Magic"learn to play" guide and a full-art reusable card storage box. 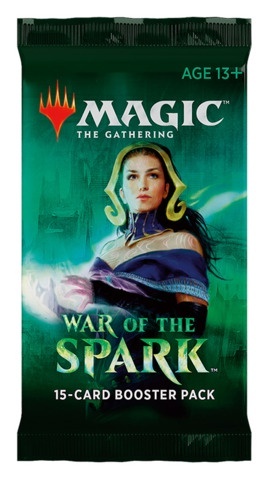 Contains one of each of the Planeswalker Decks for War of the Spark. 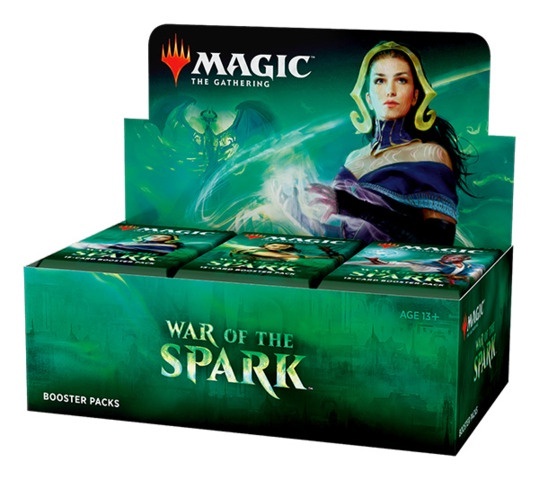 Orders containing this item will not ship until January 25, 2019. 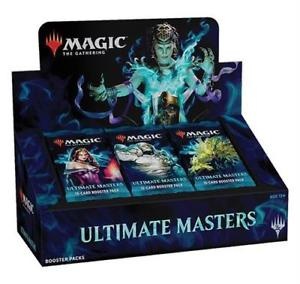 Description: Each factory-sealed display box contains 36 booster packs. 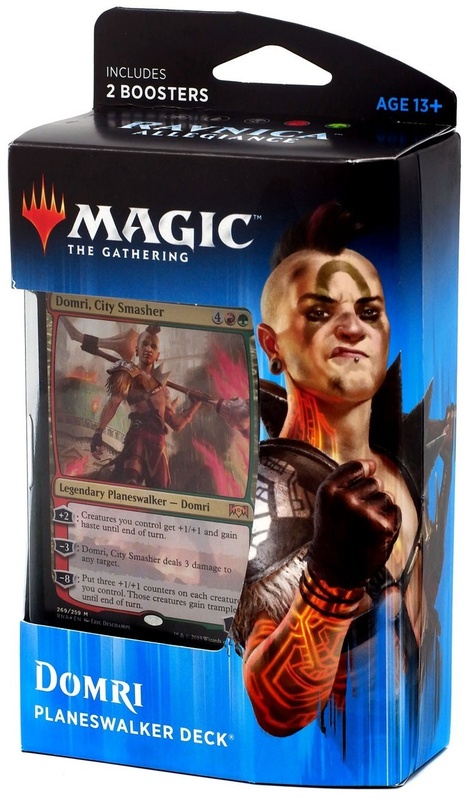 Orders containing this item will not ship until January 25, 2019. 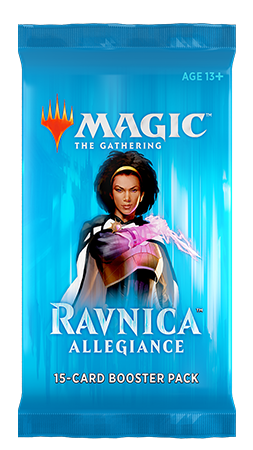 Contains 15 random cards from Ravnica Allegiance. 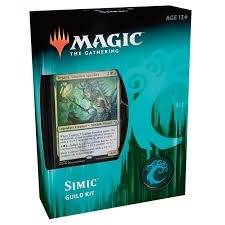 Note: Orders containing this item will not ship until January 25, 2019. 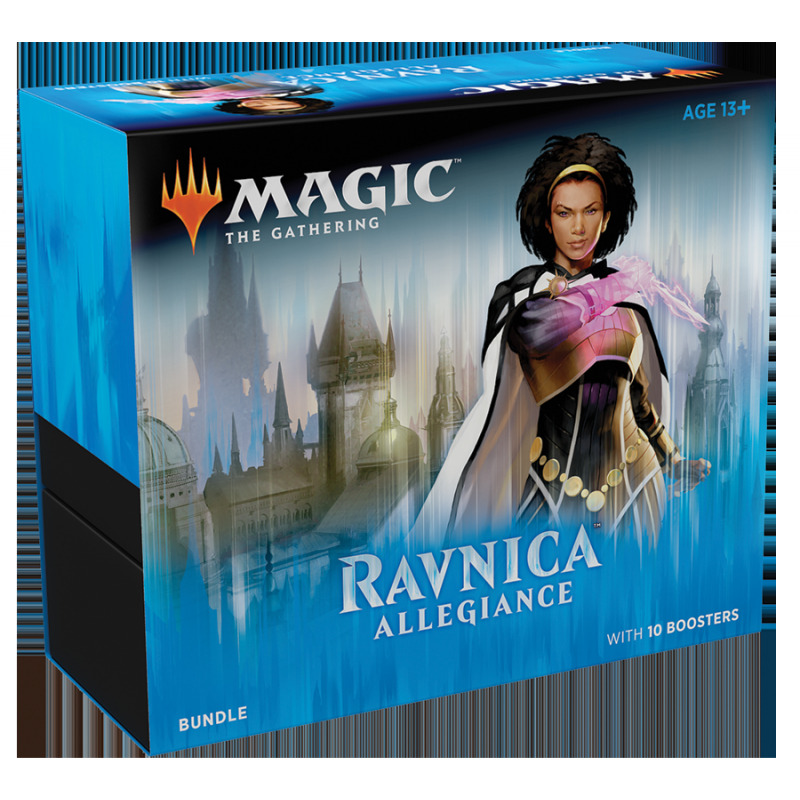 Description: The Ravniva Allegiance Deck Builder's Toolkit is a box set that will be released on January 25, 2019. 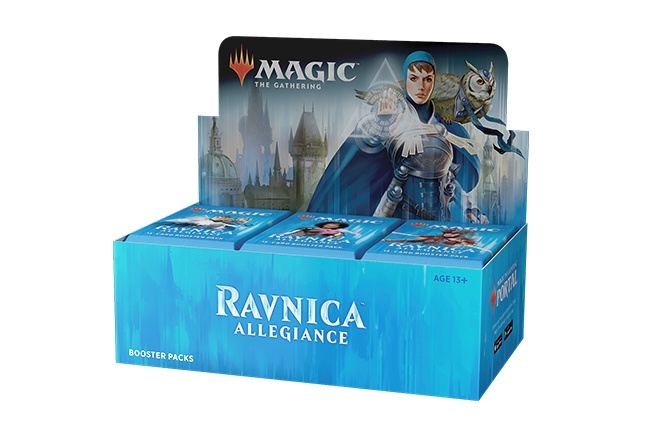 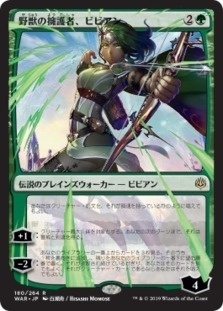 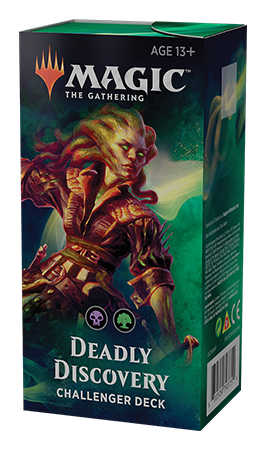 It contains 100 basic land cards, 125 fixed cards suitable for improving the set's Planeswalker decks, and four 15-card booster packs (Dominaria, and Core Set 2019, Guilds of Ravnica, Ravnica Allegiance). 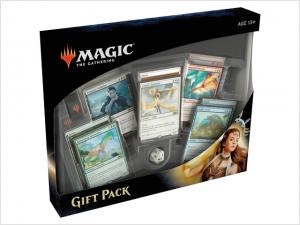 You also get a deck builder’s guide with tips about building the best Magic decks, a Magic"learn to play" guide and a full-art reusable card storage box. 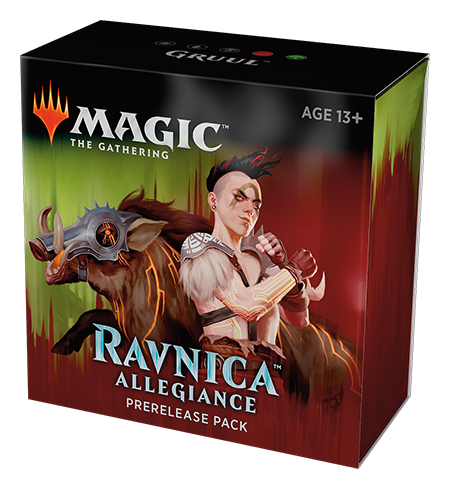 A pre-release pack from Ravnica Allegiance, featuring the Gruul Clans! 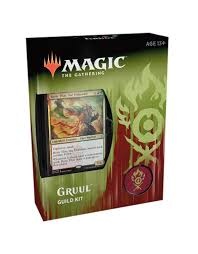 Play your favourite red green guild! 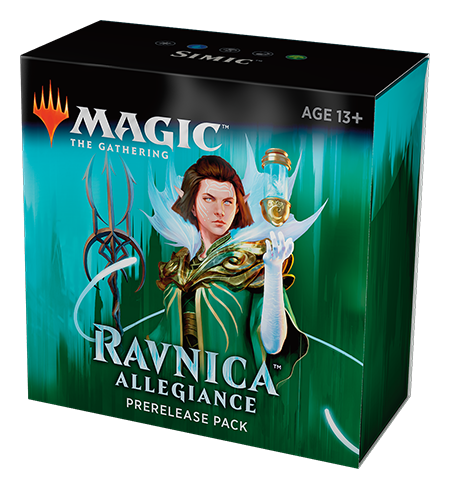 A pre-release pack from Ravnica Allegiance, featuring the Simic Combine! 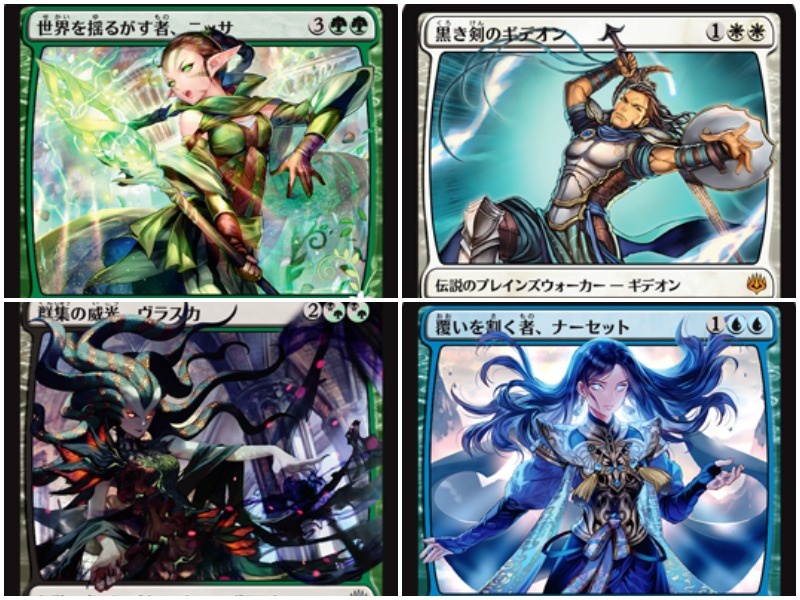 Play your favourite blue green guild! 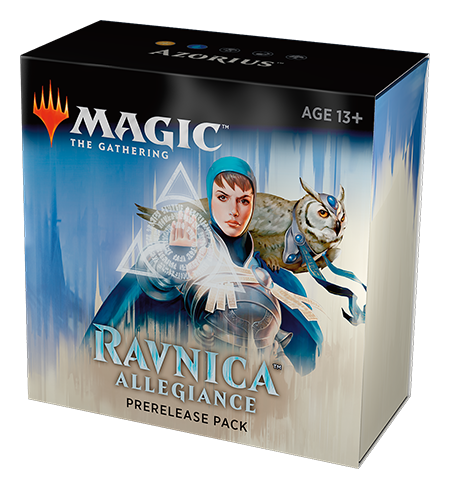 A pre-release pack from Ravnica Allegiance, featuring the Azorius Senate! 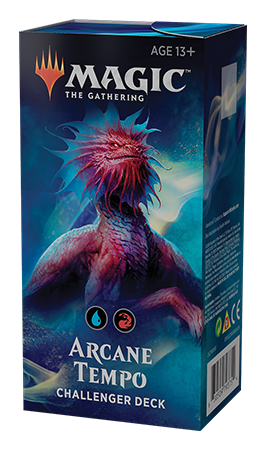 Play your favourite white blue guild! 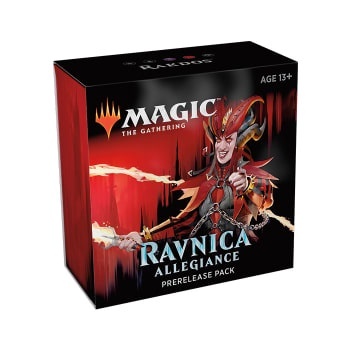 A pre-release pack from Ravnica Allegiance, featuring the Cult of Rakdos! 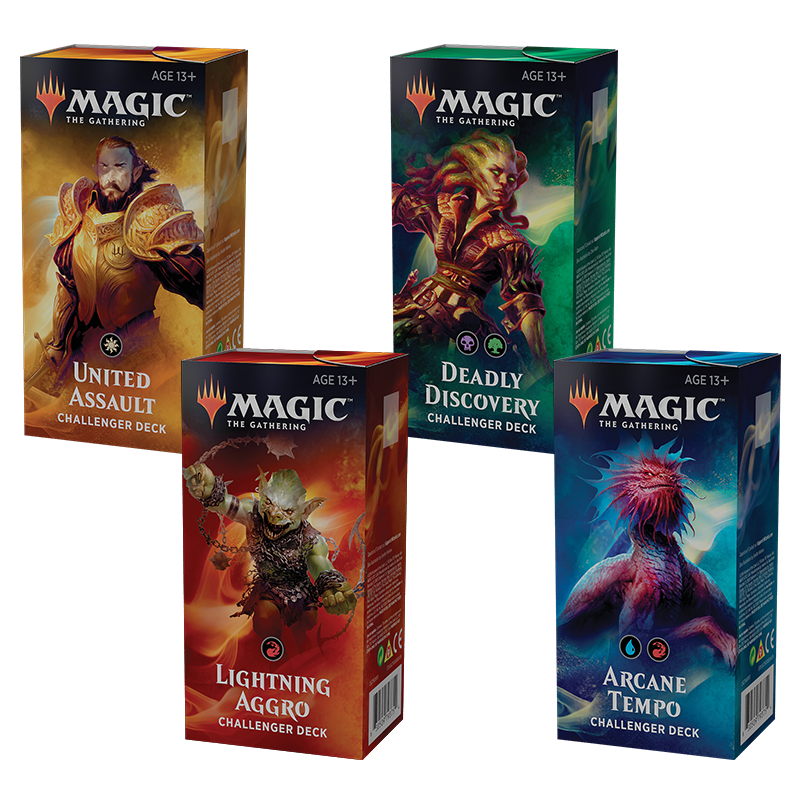 Play your favourite black red guild! 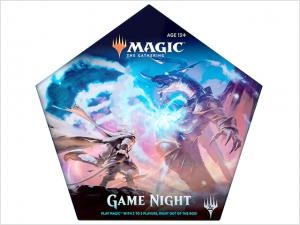 Description: Game Night is an out-of-the-box introductory multiplayer Magic experience—a way for an engaged Magic player to introduce friends to the game, or for gaming groups to have their first Magic experience together. 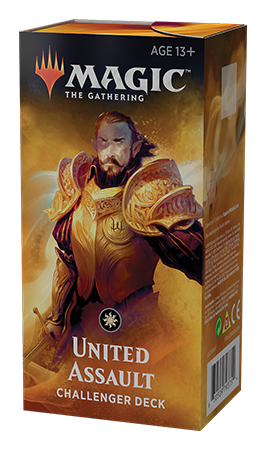 What Planeswalker Decks are to one-on-one, Game Night is to multiplayer.